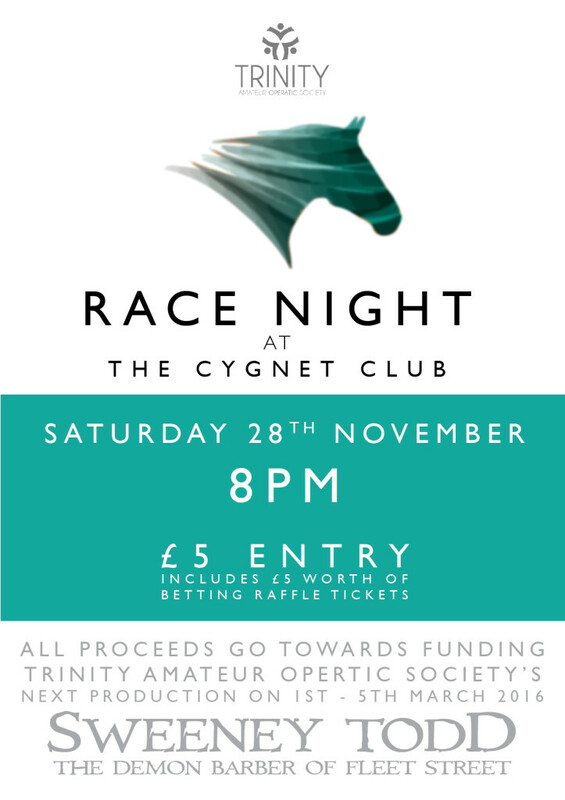 This years event is at a new location – The Cygnet Club, Congleton – on Saturday the 28th of November at 8pm. Fabulous prizes are up for grabs and friends and family are more than welcome, so spread the word! I’m sure those who attended last year will agree that it was great fun! Tickets will be available at rehearsals or by emailing info@trinityaos.co.uk. Tickets are £5 (Includes 5 Raffle Strips for betting).